Read the views of Head Teachers, Teachers and Pupils and watch the videos. 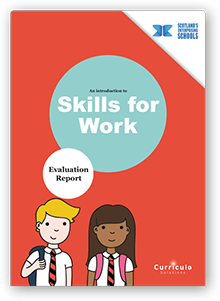 An Introduction to Skills for Work is a skills based learning programme. It is a full set of resources ready to be delivered by teachers, for young people around the ages of 10-14 years old. Find out more in this Evaluation Report.